Yes! They are in school! (should I feel guilty for being so excited about that?) My oldest two started kindergarten this week. I have gotten so much more accomplished around the house this week while having "just" one set of twins at home. 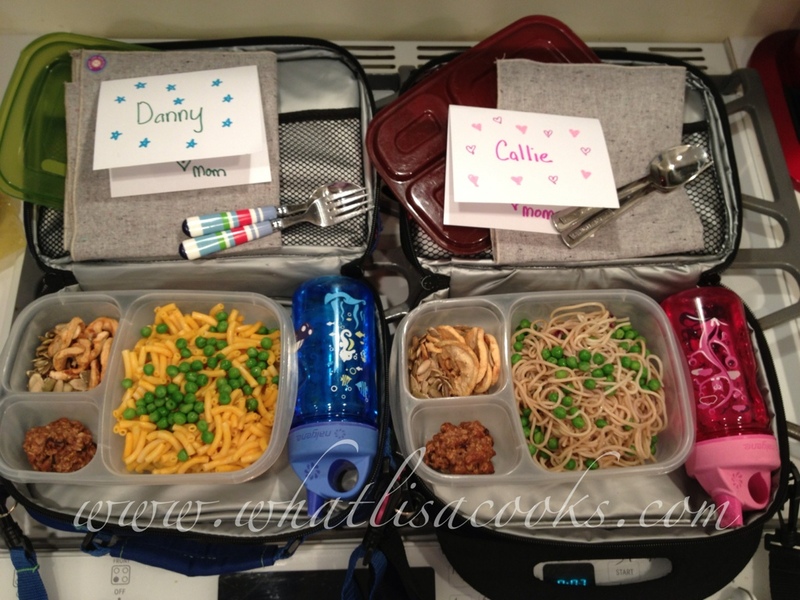 Next week the other two start preschool - and I'll be making lunches for four! I really am going to try to keep up with posting the school lunches this year - please keep me honest if much time goes by and I haven't shared! Day 1: Pasta with peas (one has sesame soy noodles, the other has organic mac & cheese - both were leftovers and I had one serving of each. And it happens to be each of their favorite foods! ), plus pumpkin seeds, dried apple slices and a zucchini oatmeal raisin cookie. And of course a first day of school note from mom. and water to drink. 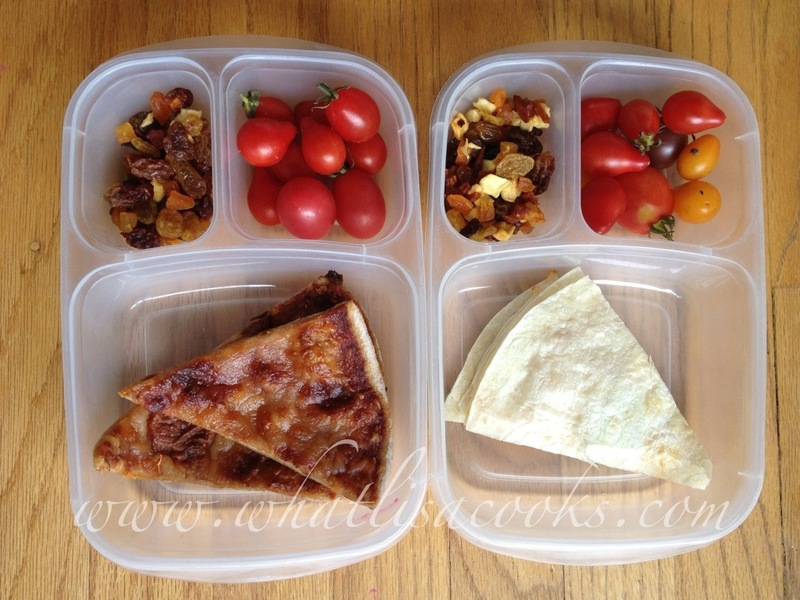 Day 2: one has leftover cheese pizza on wheat crust, the other has a avocado & cheese quesadilla. Plus mini tomatoes, and a dried fruit mix. 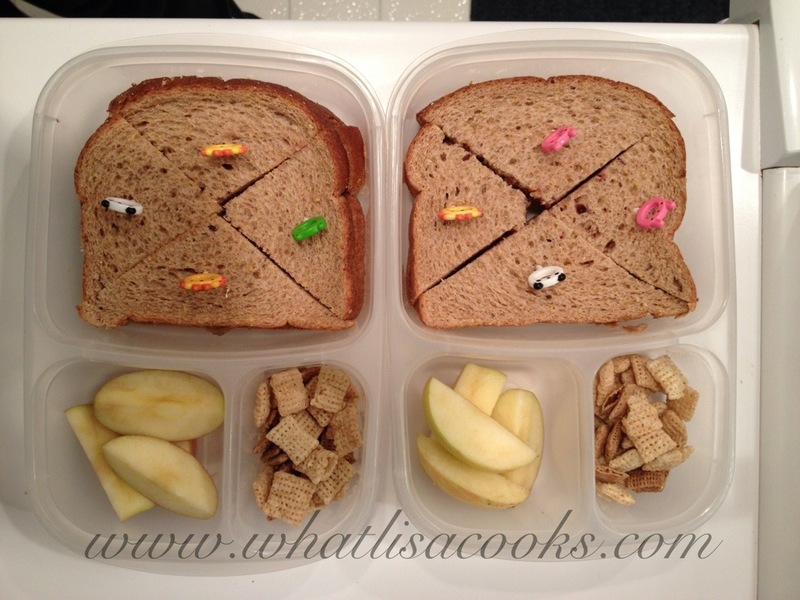 Day 3: by request: Sunflower seed butter & jam sandwich (homemade summer fruit jam), sliced apples, wheat & rice chex.